London born Mark Cook is part of the 'Circular Economy'. It all started three years ago when Mark and his family moved to Orkney. One day when he was out walking he spotted some abandoned rope on the shoreline, and picked it up and reworked it. "When I saw so much rope lying on the beach, I was like a kid at Christmas. It sparked something in me to turn it into a practical object that will be used for years." What started as a fun way to pass time has evolved into a cottage industry, for Mark specialises in all things knots. He creates something useful and decorative out of marine litter. His work - coasters and door mats - are now sold in local shops in Kirkwall and Stromness. 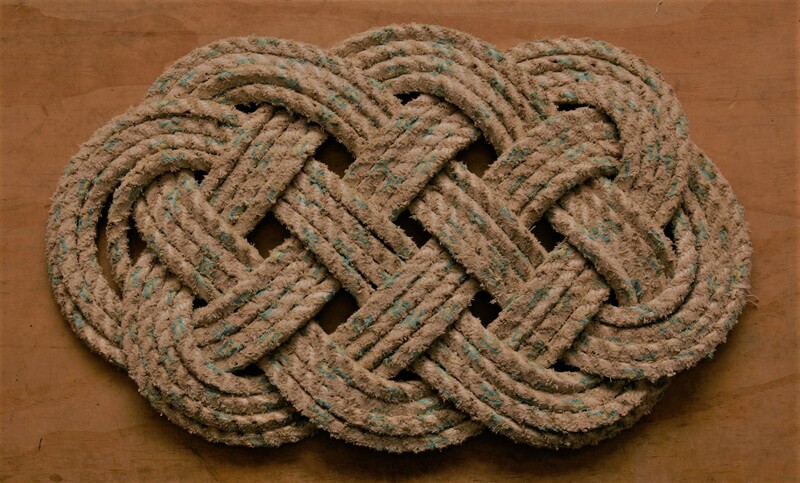 In a mere 8 months Mark Cook has reworked two miles of discarded rope creating useful products. It all helps to keep Orkney's beaches clean! News of Mark's knotting has now spread. As a result Orcadians donate rope they have found whilst beach combing, or rope that no longer has a useful purpose, to Mark. 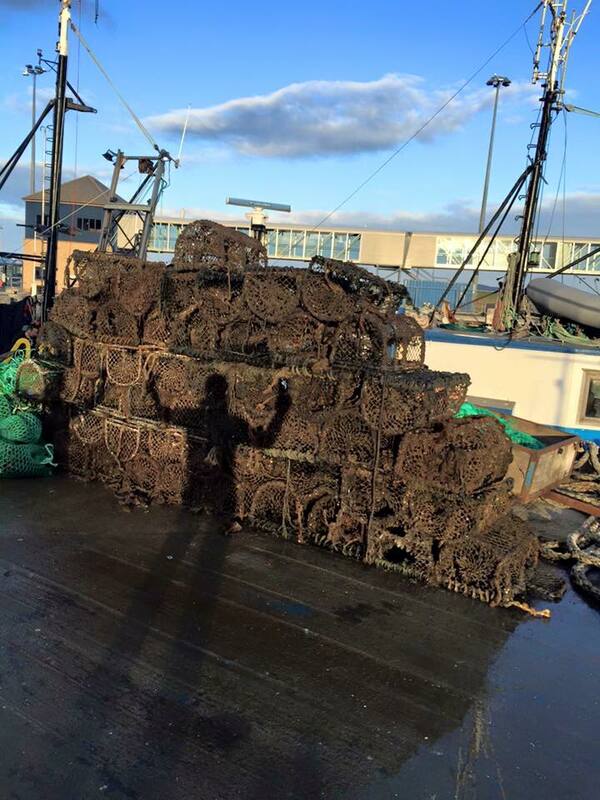 One such donation came from Ghost Fishing UK. The team dived the wrecks in Scapa Flow and recovered lost creels, lobster pots, rope, fishing nets and lines. Where possible the fishing gear was returned to and repaired by fishermen, whilst the recovered fishing nets were recycled into nylon material and the rope was given to Mark Cook. Want to make your own mat and take it home? Mark Cook also runs a half day (three hours) workshop for visitors and groups to Orkney @ £50 per mat. To book your workshop, please email - Mark direct.